Figure 1. Scatterplot of peak troponin and peak creatine kinase–MB fraction (CKMB) normalized to the individual clinical center upper limit of normal for each patient. Dashed lines represent values of troponin greater than 3 and greater than 20 times the upper limit of normal. Figure 2. Estimates of 1-year mortality rates based on the Kaplan-Meier method. Creatine kinase–MB fraction myocardial infarction (CKMB MI) was defined as CKMB greater than 3 times the upper limit of normal. Troponin MI was defined as troponin greater than 3 times the upper limit of normal. No MI was defined as CKMB and troponin of 3 times normal or less. Figure 3. One-year mortality rates associated with specified ranges of peak troponin and peak creatine kinase–MB fraction (CKMB) normalized to the Individual clinical center upper limit of normal. Numbers in parentheses indicate the number of patients in each biomarker group for the specified range and with complete 1-year follow-up. Figure 4. Plot of the association of 1-year mortality and the natural log of peak troponin levels normalized to the individual clinical center upper limit of normal using a regression spline model. Dashed lines represent 95% CIs. Knots (circles) correspond to peak troponin values of 3, 20, and 40 times the upper limit of normal. Results of the test for nonlinearity were negative (P = .57). Background The universal definition of myocardial infarction specifies creatine kinase–MB fraction (CKMB) or troponin values more than 3 times the 99th percentile of the upper reference limit as diagnostic after percutaneous coronary intervention, with a preference for the use of troponin. Methods Outcomes of 4930 patients with elective coronary stent placement between July 1, 2004, and September 30, 2007, as part of the EVENT (Evaluation of Drug Eluting Stents and Ischemic Events) registry were analyzed to test the association between 1-year mortality and postprocedure elevation of either CKMB or troponin. All values were normalized to the individual clinical center myocardial infarction diagnostic levels. Results Myocardial infarction occurred in 7.2% of patients by the CKMB criteria and in 24.3% of patients by the troponin criteria of greater than 3 times the diagnostic level. Both CKMB (hazard ratio [HR], 1.38; 95% CI, 1.22-1.55) and troponin (HR, 1.35; 95% CI, 1.18-1.54) as continuous values were associated with 1-year mortality. The mortality effect of a more than 3-fold increase was greater for CKMB (adjusted HR, 2.5; 95% CI, 1.5-4.1) than for troponin (adjusted HR, 1.7; 95% CI, 1.1-2.5). A troponin threshold more than 20 times the diagnostic level provided similar frequency (7.0%) and mortality risk (adjusted HR, 2.6; 95% CI, 1.6-4.3) as a 3-fold increase in CKMB. A regression spline model of the relationship between troponin and 1-year mortality demonstrated that the hazard of mortality increased from 1.02 at 3-fold to 1.67 at 20-fold troponin elevation. Conclusion Troponin and CKMB elevations after percutaneous coronary intervention are associated with increased 1-year mortality rates, but thresholds for similar event frequency and mortality hazard are much higher for troponin than for CKMB. Myocardial infarction (MI) after percutaneous coronary intervention (PCI) is an important safety event, and rates of periprocedural MI are included as a component of the primary end point in clinical trials of coronary stents and other device and pharmacologic therapies for coronary artery disease.1,2 There is no longer debate about whether mild elevations in creatine kinase (CK) or its specific MB (CKMB) isoform after these procedures represent myocardial necrosis3 or that levels of these enzymes that correlate with larger infarct size or occur after unsuccessful procedures are clearly associated with increased early and late mortality.4,5 There does remain controversy regarding the prognostic importance of lower-level biomarker elevations, particularly after otherwise successful procedures.6,7 Indeed, available data remain inadequate to establish a definitive threshold for clinically important biomarker elevations. A recent global task force report8 on the universal definition of MI suggested a threshold of 3 times the 99th percentile of the upper reference limit for CKMB or troponin (I or T) to define MI after PCI, with a preference for the use of troponin. Although the universal definition of MI has been adopted by regulatory authorities and industry sponsors of coronary stent clinical trials,9 there has been concern that troponin may be overly sensitive for periprocedural MI. Furthermore, most clinical trials rely on individual clinical site laboratory diagnostic levels for MI according to specific assays to establish the upper reference limit because few commercial assays have conformed to the universal definition specifications of less than 10% coefficient of variation at the more sensitive 99th percentile of the upper reference limit. Although there are abundant legacy data on CKMB levels after PCI from which to estimate expected event rates and relative infarct size, the data are limited for troponin,10-13 leaving uncertainty regarding the impact of adopting a definition for periprocedural MI based solely on troponin. The EVENT (Evaluation of Drug Eluting Stents and Ischemic Events) registry is a multicenter observational study of unselected patients undergoing PCI with planned implantation of Food and Drug Administration–approved intracoronary stents in which assessment of serial CKMB mass and troponin (I or T) values was requested by study protocol before and after PCI.14 We sought to examine the effect of a troponin-based definition for periprocedural MI compared with one based on CKMB for assessing event frequency and predicting 1-year mortality in this population. The design of the EVENT registry has been described previously.14,15 Briefly, the registry was designed to include consecutive, unselected patients undergoing nonemergency PCI at multiple centers in the United States. Enrollment occurred in 4 discrete intervals (“waves”) of approximately 2500 patients each to assess changes in interventional practice over time. Between July 1, 2004, and September 30, 2007, 10 148 patients were enrolled. The present analysis plan excludes 595 patients enrolled with ST elevation MI, 2784 patients with baseline elevated or missing CKMB values, and 1839 patients missing either CKMB or troponin values after the procedure, leaving a study population of 4930. The study was approved by the institutional review board at each participating clinical center, and all the patients provided informed consent. For this analysis, periprocedural MI was defined according to the peak values of CKMB and troponin (I or T) obtained 6 to 24 hours after PCI. These peak values were normalized to the individual clinical center diagnostic level for MI, determined to be the upper limit of normal (ULN), and are reported as a ratio of the ULN. Results greater than 3 times the ULN for CKMB alone or troponin alone were classified as CKMB MI or troponin MI, respectively. Patients with neither CKMB nor troponin greater than 3 times the ULN were classified as no MI. The CKMB MI and troponin MI groups were not mutually exclusive as patients could have met both criteria. There were 357 patients (7.2%) who experienced a CKMB MI, 1198 (24.3%) who experienced a troponin MI, and 3683 (74.7%) who did not experience MI by either criterion. Baseline characteristics are given in Table 1. Patients with MI by either definition were older; were more likely to have a history of heart failure, MI, or chronic kidney disease; had an increased number of coronary lesions treated; and had longer stents. Two or more values of CKMB and troponin were obtained after PCI in 4623 of the 4930 patients (93.8%) with matching CKMB and troponin data. The first biomarker assessment was at 8 hours (interquartile range, 7-9 hours) and the second biomarker assessment was at 16 hours (interquartile range, 15-17 hours) after PCI. Figure 1 presents the distribution of peak postprocedural CKMB and troponin values. Of 1198 patients with troponin MI, 890 (74.3%) had CKMB levels less than 3 times the ULN. Conversely, only 49 of 357 patients with CKMB MI (13.7%) had troponin values less than 3 times the ULN. Both CKMB and troponin were greater than 3 times the ULN in 308 patients (6.2%), and either CKMB or troponin were greater than 3 times the ULN in 1247 patients (25.3%). The correlation was modest, as evidenced by a correlation coefficient of 0.445 and the agreement between the 2 definitions of MI of κ = 0.32. Not until a troponin threshold of 20 times the ULN was there a similar proportion of patients classified as having had a periprocedural MI as when a CKMB threshold of 3 times the ULN was used (7.0% vs 7.2%); with these thresholds, 92% of patients were concordant as having experienced or not experienced an MI by both criteria. One-year mortality was 2.6% in the study population and was significantly higher in patients with CKMB MI (5.8%) or troponin MI (4.3%) compared with patients without MI by either criterion (2.1%) (P < .001 for both) (Figure 2). Figure 3 depicts mortality rates in progressive intervals of CKMB and troponin elevation. An increase in CKMB greater than 10 times the ULN was associated with a marked and progressive increase in the 1-year mortality rate, whereas the 1-year mortality rate was stable for troponin intervals through 20 to 40 times the ULN. In a regression spline model with knots at 3, 20, and 40 times the ULN, the test for nonlinearity in the relationship between troponin and 1-year mortality rate was negative (P = .57) (Figure 4). The hazard ratio increased from 1.02 at 3 times the ULN to 1.67 at 20 times the ULN and to 2.12 at 40 times the ULN vs a reference level at 1 times the ULN. After adjustment for differences in baseline characteristics, CKMB and troponin, analyzed as continuous variables, remained significant correlates of 1-year mortality with hazard ratios per 1-SD increase in log(biomarker +1) of 1.38 (95% CI, 1.22-1.55) for CKMB and 1.35 (95% CI, 1.18-1.54) for troponin. The discriminatory ability of troponin was intermediate as evidenced by an area under the receiver operating characteristic curve of 0.636. Adding CKMB data increased the area under the curve only slightly to 0.650. Table 2 provides the clinical impact of threshold selection for CKMB at more than 3 times the ULN and for troponin at more than 3 times and more than 20 times the ULN. We observed that 1-year event rates and hazard ratios for troponin greater than 20 times the ULN are similar to those obtained for CKMB greater than 3 times the ULN. One-year mortality was 3.3% in patients excluded due to missing baseline biomarker data and 2.9% in patients excluded due to missing post-PCI biomarker data. In the EVENT registry, postprocedure CKMB and troponin values were obtained by protocol in nearly 5000 patients undergoing stent placement. Using a threshold of greater than 3 times the ULN based on the current universal definition of MI, there were substantial differences in MI frequency between CKMB and troponin. At this threshold for troponin, almost 25% of patients were classified as having experienced a periprocedural MI. Only when the troponin threshold for MI was greater than 20 times the ULN were a similar number of patients classified as having had an MI as when MI was diagnosed using a CKMB threshold of more than 3 times the ULN. Even then, the concordance was not perfect, with 8% of patients remaining misclassified by one or the other definitions. Both CKMB and troponin elevation were associated with increased risk of 1-year mortality. Using dichotomous cutoff points, however, the hazard ratio for mortality associated with troponin level elevation remained relatively constant up to greater than 20 times the ULN, at which point the 1-year mortality rate approximated that of patients with CKMB levels greater than 3 times the ULN. Previous studies have also noted frequent elevation of troponin after PCI and have reported variable association of troponin elevation with mortality. In a pooled analysis of 481 patients undergoing PCI for acute coronary syndrome in the SYMPHONY (Sibrafiban vs Aspirin to Yield Maximum Protection From Ischemic Heart Events Post-acute Coronary Syndromes) trials, troponin elevation was noted in 48% and was associated with increased risk of 90-day death in patients with post-PCI elevation (5.2% vs 0%, P = .02).11 Similar to the present study, an increased mortality rate was observed only with higher troponin elevations, defined as the fourth quartile in this study. In a study of 2893 patients with PCI, Kini et al10 observed a CKMB value greater than 3 times normal in 3.9% of patients and a troponin value greater than 3 times normal in 22.5%. A CKMB value greater than 5 times normal was a predictor of 1-year mortality, but 1-year mortality rates for troponin elevation were similar to those with troponin up to 5 times normal, and even elevation more than 10 times normal was not a predictor of excess mortality. Similarly, in a series of 1128 patients, Natarajan et al19 reported troponin elevation in the absence of CK level elevation in 17% of patients and no association with outcome after hospital discharge even for troponin greater than 5 times the ULN. Other studies have examined the impact of isolated troponin elevations. Prasad et al12 reported that any elevation in troponin, observed in 19.6% of 1949 patients with normal preprocedure levels and normal postprocedure CKMB, was associated with increased late mortality. In a larger later study20 including 5487 patients of whom 3457 had normal baseline troponin, they noted that postprocedural elevation with normal baseline levels was associated with increased 30-day mortality but not with late mortality. Cavallini et al13 reported 2-year mortality rates in 2363 patients undergoing elective PCI with documented normal baseline CKMB and troponin and absent CKMB elevation after PCI. Troponin elevation greater than 3 times the ULN was present in 19.7% of patients and was associated with increased mortality (HR, 1.68; 95% CI, 1.01-2.40) in crude analyses, but the association was no longer statistically significant after adjustment for baseline risk factors. 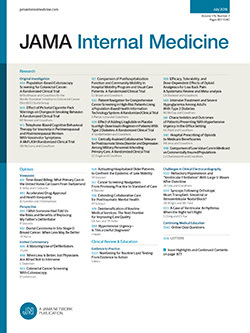 Further concerns regarding the clinical relevance of troponin elevation come from a study21 of 32 patients undergoing late gadolinium-enhanced cardiac magnetic resonance imaging after PCI in which only 3 of 26 patients meeting the universal definition of MI by the troponin criteria had imaging evidence of myocardial necrosis. The present results have implications for defining end points for clinical trials and for the clinical care of individual patients. As a safety measure in clinical trials of coronary artery disease management, any definition of periprocedural MI should discriminate between therapies with higher or lower rates of the event. Historically, clinical trials22,23 of PCI devices have defined MI as total CK levels greater than 2 times normal with any elevation in CKMB levels and have reported rates of 4% to 5% in contemporary studies of patients treated in routine practice. The present results demonstrate similar rates using the universal definition based on CKMB levels greater than 3 times the ULN but a rate approximately 4 times higher when the definition is based on troponin levels greater than 3 times the ULN. Although the troponin definition increases sensitivity for the detection of myocardial injury, it is likely that the higher overall rate decreases the ability to detect meaningful differences between treatments or patient populations. Regarding clinical care, there is uncertainty about the management of individual patients undergoing PCI who are noted to have postprocedure troponin elevation. Although troponin elevation greater than 3 times the ULN in the present study was associated with a small increase in 1-year mortality rates, the limited ability for risk stratification at this level raises concern for appropriate counseling and management, whereas a diagnosis based on a threshold that is more likely to be associated with myocardial necrosis and captures most of the mortality increase may specify a smaller population at highest risk and for whom future research should address directed therapies. The present results indicate that either CKMB or troponin may be used as a predictor of increased late mortality, but the degree of elevation that is discriminatory for a similar absolute increase in mortality differs substantially for the 2 biomarkers. Given the move toward troponin and away from CKMB as a standard method by most clinical laboratories and the continued importance of a universal definition, it is critical that revisions of these criteria incorporate the differences between these biomarkers in diagnosis and clinical implications. This study has several limitations to consider. First, biomarker data were analyzed at individual centers using a variety of assays and normalized to each center's diagnostic level rather than by a standardized method using a central laboratory or documentation of the 99th percentile of the upper reference limit at each center. This study also did not incorporate highly sensitive troponin assays now in use at some centers. Each of these would likely have resulted in increased detection of troponin MI and further exaggerated the discordance between CKMB and troponin thresholds. Second, follow-up was limited to 1 year, and we cannot exclude the possibility that a larger difference in outcomes based on a 3-fold elevation in troponin might have emerged over a longer period. Finally, although we excluded patients with CKMB elevation at baseline or with ST elevation MI, it is possible that some patients in this study may have had an evolving non-ST elevation MI at the time of PCI such that their post-PCI prognosis may have reflected the impact of injury due to spontaneous MI rather than procedure-related MI. It is also possible that inclusion of these patients may have resulted in inflated rates of post-PCI MI with a larger effect for troponin. In conclusion, in the EVENT registry, which included 4930 patients with routine assessment of CKMB and troponin before and after elective coronary stenting, the suggested threshold of more than 3 times the diagnostic level for either CKMB or troponin to define MI after PCI resulted in marked differences between biomarkers in frequency of MI diagnosis and association with 1-year mortality risk. A peak troponin value greater than 20 times the diagnostic level approximates the frequency and hazard for late death associated with CKMB values greater than 3 times the diagnostic level. Correspondence: Donald E. Cutlip, MD, Beth Israel Deaconess Medical Center, 330 Brookline Ave, Boston, MA 02215 (dcutlip@bidmc.harvard.edu). Accepted for Publication: December 21, 2011. Author Contributions: Dr Cutlip had full access to all the data in the study and takes responsibility for the integrity of the data and the accuracy of the data analysis. Study concept and design: Novack, Pencina, Cohen, and Cutlip. Acquisition of data: Cohen and Cutlip. Analysis and interpretation of data: Novack, Pencina, Yen, Saucedo, Berger, and Cutlip. Drafting of the manuscript: Novack and Cutlip. Critical revision of the manuscript for important intellectual content: Novack, Pencina, Cohen, Yen, Saucedo, and Berger. Statistical analysis: Novack, Pencina, and Yen. Obtained funding: Cohen. Administrative, technical, and material support: Berger. Study supervision: Cutlip. Financial Disclosure: Drs Novack and Pencina are consultants to and Mr Yen is an employee of Harvard Clinical Research Institute, a not-for-profit academic research organization that received grant support for data management and analysis of the EVENT registry. Dr Cohen is on the advisory boards for Medtronic and Cordis; has received consulting fees from Medtronic, Abbott Vascular, Volcano, Eli Lilly/Daiichi Sankyo, and St Jude; and has received grant support paid to his institution from Medtronic, Boston Scientific, Abbott Vascular, Eli Lilly/Daiichi Sankyo, Astra Zeneca, Med Rad, and Edwards Lifesciences. Dr Kleiman has served as a consultant to Eli Lilly/Daiichi Sankyo and has received research support paid to his institution from Schering Plough and Merck. Dr Saucedo has received consulting fees and grant support from Schering-Plough and Merck. Dr Berger has served as a consultant to AstraZeneca, Boehringer Ingelheim, Eli Lilly/Daiichi Sankyo, Medicure, Accumetrics, and Ortho McNeil and has received research funding paid to his institution from ThromboVision, Helena, Accumetrics, AstraZeneca, Haemoscope, The Medicines Company, and Corgenix. He owns equity in Lumen Inc. Dr Cutlip is a consultant to and receives academic salary support from Harvard Clinical Research Institute and has received research support paid to his institution from Medtronic. Funding/Support: Funding for EVENT and analysis was provided by grants from Millennium Pharmaceuticals and Schering-Plough. Role of the Sponsor: Neither sponsor participated in the design and conduct of the study; the collection, analysis, or interpretation of the data; or the preparation, review, or approval of the manuscript.